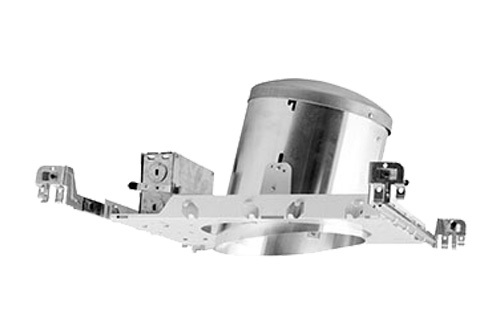 IC and airtight sloped ceiling 6” aperture housing for maximum 150W incandescent lamps. 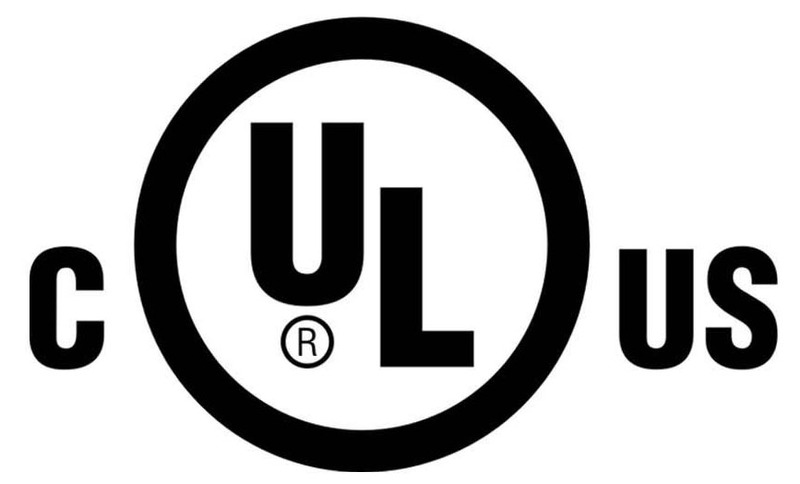 It is design to use in insulated ceilings and can be in direct contact with ceiling insulation. Single wall aluminum construction. Pitch range: 2/12 to 6/12 inch. - Sloped ceiling recessed housing rated IC-airtight for new construction applications. - Single wall aluminum housing and galvanized steel frame. Housing can be removed from plaster frame for junction box access. Housing can be adjusted in plaster frame for ceilings up to 1-1/2” thick. - Design to use in ceiling with slopes pitch range from 2/12 to 6/12 pitch. - Galvanized steel junction is listed for through branch circuit wiring and has seven 1/2” knockouts and four romex pry-out slots. - Lamp maximum wattage: 150W (Lamp ratings based on trim selected). - Please refer to trim pages 148 for further details.